Pediatric dentists recommend that children see a dentist for the first time before their first birthday. 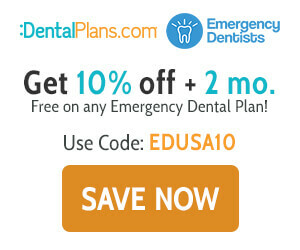 This is so, because by 2 ½ the majority of children have cut all of their baby teeth. 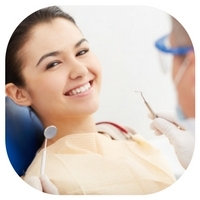 Twice-yearly dental checkups are great for establishing dental habits. But for toddlers, the first visit can be a scary proposition. After all, they are being taken to a new place, introduced to never-before seen faces, loud noises and strange instruments. As with anything new, the best approach is to make the first experience fun and special. The next time you, a spouse, or another family member has an appointment, take your toddler along. Allow him or her to sit in the chair and go up and down. Have them practice opening their mouth and looking at their teeth in a mirror. If this goes okay, you may have someone count his or her teeth or even try a little polishing. In order to increase the probabilities of a fun dental visit, try and schedule the appointment for first thing in the morning. This way the child will likely be more cooperative, since he or she will be well rested. An earlier visit also usually means a shorter wait. Of course, you should call ahead and make sure bringing your toddler along is okay. Also, don’t bring your child along if you are having a long procedure done, like a cavity or even x-rays. This may scare the child. If you are headed to an appointment during which you are expected to be incapacitated (from having your feet in stirrups to having blurry drops in your eyes), you are certainly better off making childcare arrangements. Your child should see nothing but smiles at their first dental visit. It is important that your kids see you brushing and flossing as an ordinary part of the daily routine. The saying “kids do what kids see”, holds true in this particular case. 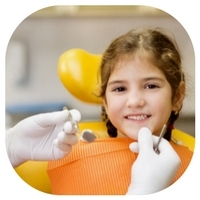 According to recent studies, most fear of the dentist is passed down from parents to children. Toddlers are very perceptive, observant and sensitive to the energies and attitudes of those closest to them. Children often mirror their parents’ behavior. 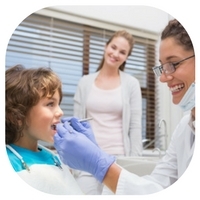 As a good role model, you should have a very positive attitude about going to the dentist. This way, the child can pick up the positive vibe and be more relaxed. ldren or else you may want to purchase one on your own. Some of the new brushes have stickers in the package so children can personalize them. A colorful toothbrush may be an incentive enough. But, some dentists have their own treasure box kids can choose from when they leave. If not, consider getting your toddler a healthy treat or a small toy after the appointment. Even a simple sticker may work. Positive praise is always helpful too! Fortunately we live in the age of technology. The availability of electric toothbrush reviews makes the entire process of cleaning teeth more fun and more interactive. The latest motor powered brushes come with smartphone applications that are both educational and fun. They further help introduce the scenery of dentistry as more welcoming and exciting. Be cautious if picking a spinning brush for your child. Some sonic and ultrasonic models might be too powerful for the sensitive gums of a toddler. Of course, good brushing habits are the most important. After all, cavities are a sure fire way to make your child dread the dentist for a long time. Try out these five tips and banish fears of going to the dentist.